If you are a fan of fantasy, medieval, and adventure themed films then you should see "Seventh Son" because you would probably enjoy it. Mythical creatures, sorcery, and smooth action scenes makes this film a must see in 3D. "Seventh Son" is an upcoming fantasy film based on the novel The Spook's Apprentice (titled The Last Apprentice: Revenge of the Witch in America). The story centers on Thomas Ward, a seventh son of a seventh son, and his adventures as the apprentice of the Spook. It is directed by Sergei Bodrov and stars Ben Barnes, Jeff Bridges, and Julianne Moore. The best points of the film is that is it straight to the point, the plot flowed like there should be no wasted time on petty details. The special effects are impressive. The shape shifting scenes were phenomenal. The props and production design is visually tantalizing. The whole film is good. I just hope they had pushed this film far from the current end product and made it one of the spectacular medieval fantasy hit of the season. "Seventh Son" has shown several scenes that are highly-commendable but most of these were already seen in movies like Harry Potter and Lord of The Rings. It would have been better if the main characters were more developed individually. The film ended as a collection of one spectacle after the other with the viewers unattached emotionally to the hardships and emotions of the main characters. 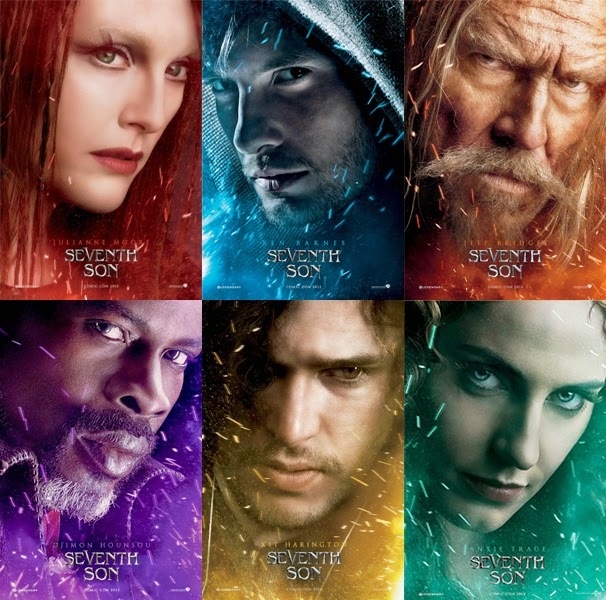 Watch the Official Trailer and Synopsis/plot of "Seventh Son" here.